Next Post hurry…two more days for NEEDFUL Things…. Sounds like a wonderful machine. Would love to win one! Can it help me get things done twice as fast? I have lots of sewing in my future. I’ve retired an now is the time to work on all the projects I never had time for. Merry Christmas! 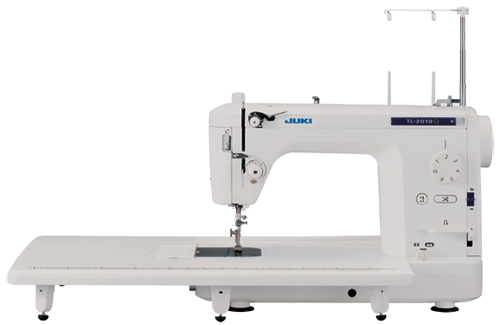 I would absolutely love to win this Juki….sadly my Viking has seen better days – I can’t get the light bulbs to work, and I can only sew in the daylight, I absolutely love your designs and I just can’t sew fast enough to catch up! Merry Christmas and Happy New Year! 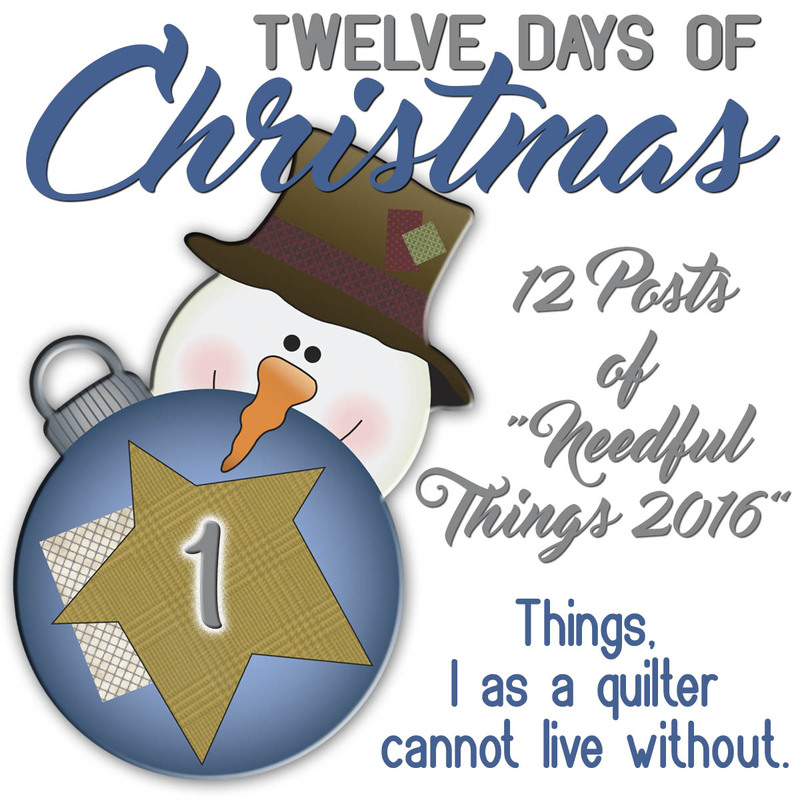 Thanks for your posts on the 12 Post of Needful Things for 2016. I found some things to add to my wish list. Hope you, your family, and all of your wonderful shop owners have a very merry Christmas. 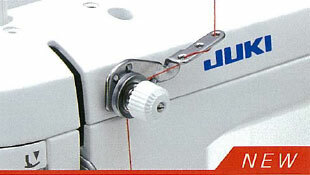 I have never used a Juki but it sounds like a great machine. Hope you and your family have a wonderful Christmas and healthy New Year. Love your designs and all your thoughtful hints and instructions. I have never used a Juli, but have been eyeing one ever since you first posted about them. Thank you Lisa for another year of Needful Things. Wishing you and your family a Merry Christmas. Hi, Lisa, I always look forward to your posts. I am in the market for a new machine. I have had a Viking 500 since 1999, and have had no issues. 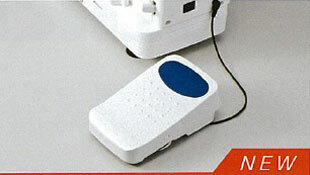 But, the foot bed is small and makes machine quilting difficult. I am wondering what the largest size quilt you have quilted on the Juki. Thank you for your time. Merry Christmas! My octogenarian aunt has an old Juki that is as tough an old bird as she is–they both keep running like champs and I’d put my money on either of them against any shiny young thing any day! Really, Aunt Betty’s machine convinced me that bells and whistles aren’t what matter when you’re shopping for a machine, and Juki seems like it has what it takes to go the distance. Oh I hope that this will be a Juki Christmas for someone who is really deserving! I have wanted a Juki for some time, but can easily put this purchase in my budget for 2017 if a try really hard! I know that there are so many others who have met with devistation during the year either with health issues or weather incidents, I hope The Christmas Child guides your hand in picking a Winner!!! I am a gadget girl both in the sewing room and in the kitchen. I believe I have almost every one of your favorite things except for the Juki. I like the fact that it only does one thing (well) and is all metal. I absolutely love my Bernina 44QE but it was down for about 6 months a couple of years ago and I’m fearful it could go south again in the future. It was an electronic (computer) problem. With electronics they become outdated and then might not be able to be fixed. I would dearly love to have one of these Jukies, especially since you so highly recommend them. Thanks for the opportunity to be a winner. Merry Christmas and Happy New Year!!!! See you at RD2CA next month!!!!!!! Always love your needful things. Never heard of Juki until you started raving about it. Wishing you and yours a Very Merry Christmas and Happy Healthy 2017. From Arkansas enjoy your snow!!! None here. As always a fabulous 12 days of Christmas. Thank you Lisa. Wishing you and Nick a Blessed Christmas and an Absolutely fabulous 2017. That Juki sure sounds like a have to have. Thinking……..
What a generous offer! I have long wanted a Juki, but have a Featherweight that runs like a charm, so it was hard to justify. Thanks fun daily postings, too. A very Merry Christmas to the entire Primitive Gatherings team and family! You all work so hard to keep us happy – Thank you for all that you do!! I decided that this was finally my year for a Juki – Judy P (bless her heart) helped me out with my order. One machine sold – only 49 to go!!! Thanks for all you do Lisa. I so enjoy your blog. 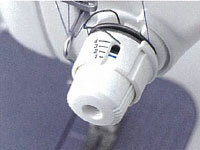 I am not knocking my old Kenmore, It has seen me through a lot of seams. I would so like to win a new one. I wouldn’t know how to act with a new machine. Merry Christmas and good luck everyone. This sounds like such a marvellous machine!! I will have to find one somewhere that I can sit down and try sewing with it. Thank you for your posts. 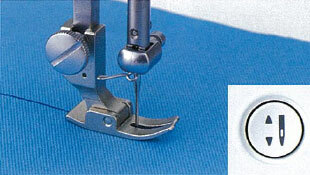 I always learn something from them to increase my sewing skills. 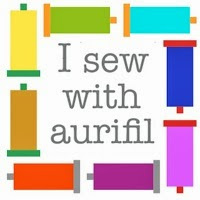 Your online ordering has been a life saver as I live in remote Alaska and have no quilting stores near me. Merry Christmas. 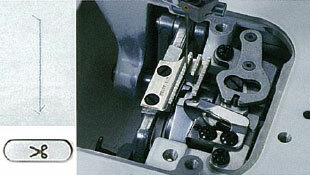 Can you use the 1/4″ foot on any other machine? This machine looks so awesome thanks for the chance to win one. I have enjoyed all your posts emencely! I would love to win the Juki machine. I have never tried using one but they sound wonderful! I have never tried a Juki but have heard wonderful things about them. The machine I am using now is old – not vintage and I’m having some problems with it. I would be thrilled to win one of these machines! Thanks so much for the chance. Merry Christmas to you and your family! What blessings! Merry Christmas and thank you for all you do for us Quilters and Woolies! Thanks for the 12 days of Christmas. I couldn’t wait each day to find out the item of the day. Every year you have these on sale and I always think one year I will get one, but never ordered for myself. Too many other expenses and gifts to buy, but this year, I DID IT. Ordered one. My Christmas gift to myself. Now not to feel guilty! I would so love to have that Juki! My machine is getting very old…Merry Christmas to you all. I LOVE LOVE your patterns. I’ve nearly finished the Snowflake Catcher while I’ve been visiting my son for the Holidays and I’ve got the Stitcher’s pillow to work on when I’m done with that. Yes, I do need to comment today. I rarely miss commenting on your needful things, and look forward to each post each year. However, this year I just couldn’t manage it. But, I did get to read the posts. I’ll add my thanks to all the others, as well as my wishes for you and your family to have a very Merry Christmas. Looking forward to next year. Merry Christmas, Lisa! This is my second Christmas without my husband-so trying to make it special for my kids. I really haven’t sewn since he died, but I’m vowing to move forward in a positive way in 2017, and get back into quilting. A fresh start on a new machine?? Yes indeed. Sounds like a great machine. Can we come to your shop to try one out before we would buy it? I live in Two Rivers so would like to try one before I would buy one. Thank you for the posts over the last 12 days – it’s been fun reading them. I need to look and see who sells the JUKI locally and how much they are in Canada. HI Lisa – I love your blog. Always a lot of good things and to buy and a lot of great tips. I bought this Juki from you 3 years ago. I actually read the post 4 years ago and contemplated buying it for an entire year. I should not have waited. Whoever buys this machine – you will love it! You will not be disappointed. Hope you all have a Merry Christmas! I am sitting having a cup of coffee with my husband, watching the snow come down. I mentioned your 12 day and needful things and the Juki give away. His comment was …”then I could have my own machine!” So here is a Merry Christmas to all, and to my great husband who would love to have his very own sewing machine. A new sewing machine would be wonderful. I have 2 inexpensive machines & I trade off using them. Sometimes one decides it doesn’t want to sew good for me so I switch off to the other one and vice-versa. I had 2 real good machines and they both broke down in the same week several years ago, right in the middle of sewing for other people. So, I sent my husband off with a few hundred dollars and said buy me a machine. All I wanted was a machine that sewed zig zag and straight stitches. That is what he bought me. It sews OK but not like the Bernina or ancient Singer did. Oh how wonderful Christmas would be to own the Juki that you are talking about. Ho Ho Ho! Merry Christmas and Happy New Year to all!!! Every year I think I should order this machine, and this just might be the year! Merry Christmas and Happy 2017 to you and Nick! I have been looking for a straight-stitch only machine that would have a pretty stitch like my antique Singer treadle machine – the Juki might very well be it! Thank you Lisa for all you do. Have a wonderful Christmas and a healthy and Happy New Year. Kind of a lonely Christmas. Just me and my dog. Watching the Viking /Packer game. Not going well for the Mn Vikings. Hope you all have a Merry Xmas and joyous NY! Wow – looks like a dream machine for a piecer. I’ve been considering a used machine, though the new model has more features. Thanks for the chance! My parents opened a costume shop in Brea California in 1980. My husband, my sister-in-law and I worked there full-time. We purchased some of the costumes, but made most of them that were going to remain in our rental inventory. We had 3 Juki industrial machines and 2 Singer home machines. The Juki was definitely the best machine around. Merry Christmas to you and all of your loved ones! Merry Christmas to you, your family, and employees. I love getting your emails with all the wonderful new things you have to tell us about. Thanks for all your hard work. I would love a Juki. I just a very expensive Janome and it is okay. I actually prefer my old singer or featherweight! That should be – ‘ I just bought ‘. Happy xmas Lisa! Merry Christmas to you and your family. 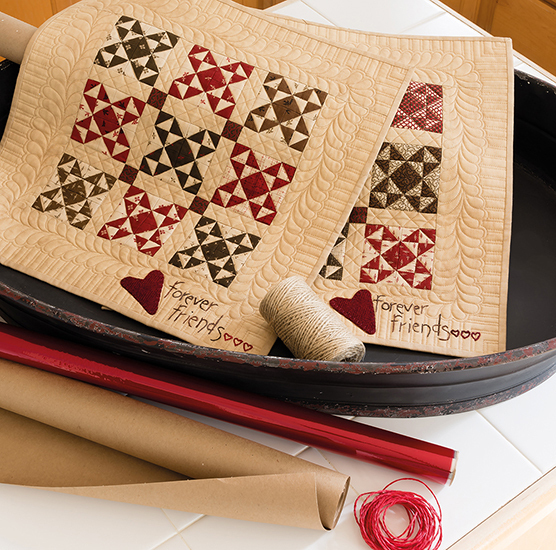 Thank you for everything you share with us quilters thruout the year. You are so amazing (do you sleep?)! Would love to have a Juki! Wow! What a machine. 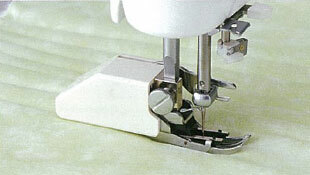 My current sewing machine is over 20 years old and has no “quilting features”. This sounds like quite an upgrade from what I’ve got. Merry Christmas! This sounds like a dream machine. It’s just what I need to get me free motion quilting! Merry Christmas Lisa! Have always wanted one – I look forward to your 12 days of Christmas every year – Thank You for being the person you are!! I have enjoyed seeing your reviews of all the “needful” things, some of which I did not know were on the market. 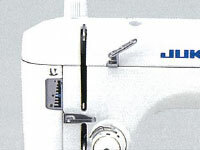 The Juki sewing machine looks very nice. I like the quilting feet. I’m going to make a list! I love these 12 Days of Christmas. I look forward to the emails every day during the 12 days. This is the time of year I love to sew and make gifts. It has gotten harder to find the time to do, but I do make at least some. My sister-in-law and I use to write letters to each other a couple of times a week to compare where we were on our gifts. (before computers) She is the reason I sew. I lost her 7 years ago and miss her a lot. She was not a quilter, but made clothes like you would not believe. I did teach her how to quilt and cross stitch. She was an avid cross stitcher…but not so much a quilter. She made all of her things on an old Singer in a cabinet. It is now saved for one of her grandaughters. Merry Christmas, Lisa to you and your family! Thank you for yet another great 12 Days of Christmas filled with anticipation! Thank you for your posts, sales and give aways! I have really enjoyed them. I have been saving to buy this machine, but I am a bit short this year. So I have my “Juki money” in a separate account and will keep saving. Hopefully you will do it again next year! Merry Christmas to you and your family. Thank you for your Twelve Days of Christmas. The Juki would be loved in this home! Merry Christmas to all! Thanks for telling us all about the Juki. I think I’ll ask Santa for one next year🙂🎄. Merry Christmas to you and your family! Thanks for the info on the new foot. 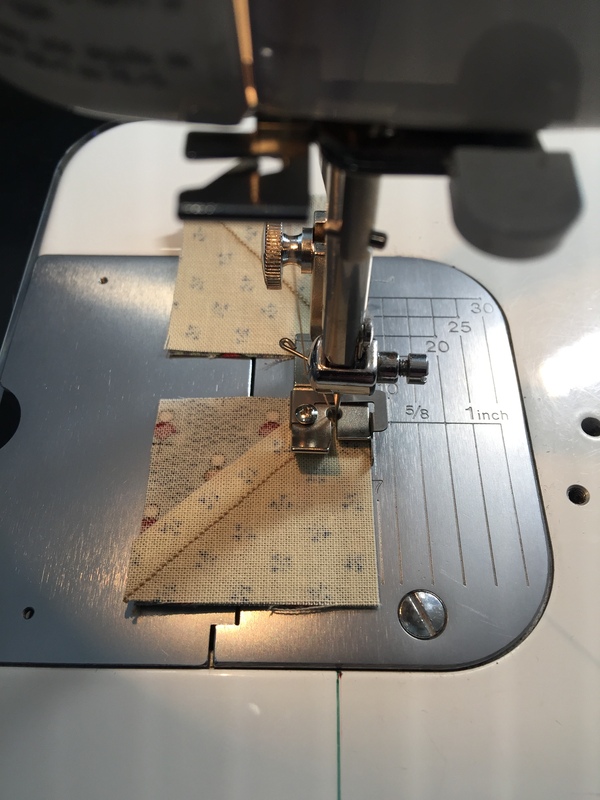 I love my machine and my only gripe was getting a quarter inch seam allowance–I guess I need that new foot! Merry Christmas! Merry Christmas Lisa! I have a Juki TL98Q that I bought with a midarm frame about 10 years ago. I don’t use the frame anymore and when I took the Juki off and started piecing with it there was no going back. I too have 2 Berninas and do not use them unless absolutely necessary. I LOVE the thread cutter on my Juki!!! 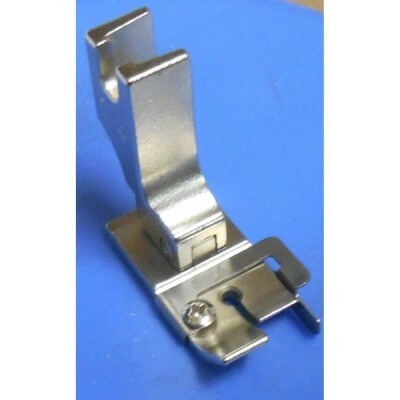 May have to try the new foot altho I have never liked a rail type 1/4″ foot before. Would be SO happy to have a new machine! I have a Juki 2010Q that I purchased from Lisa a few years ago and absolutely love it. I am also the owner of 2 Berninas but really love my Juki. It has all the features you need for quilting. If you are on the fence about purchasing this machine, BUY IT. You will not regret your decision!!! 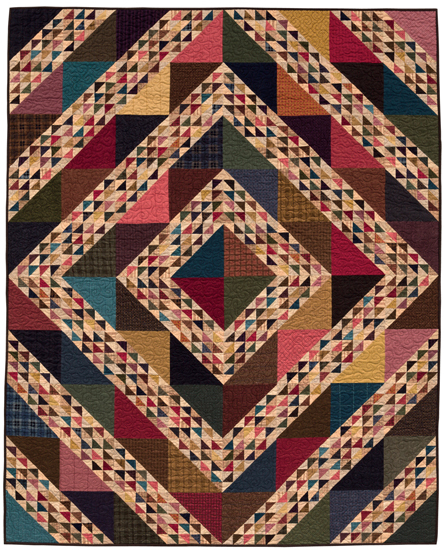 I would love to win the Juki to give to my daughter-in-law, who has caught the quilting bug from me. She had the same look on her face that I did, when she finished her first quilt top a few weeks ago I love being able to share my passion with her and to be able to share my quilting knowledge with another generation. Merry Christmas Everyone!!! Merry Christmas and wish you many blessings in the New Year !!! I have been really really good this year and am on Santa’s good list. Please, please let me be the lucky person to win this Juki!!! Thanks for all you do. I really enjoyed all your posts. Can’t wait to see what you have up your sleeve for 2017. Merry Christmas Lisa & to your family & to your staff at Primitive Gatherings. Thank you also for the fun 12 needful things you have posted for 4 years. Thanks for the info on the sewing machine! 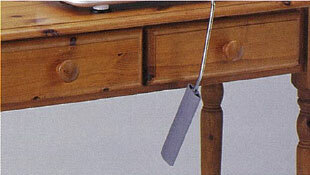 I am still using my Bernette that I got a long time ago… and mostly because it is simple and does the job. I always loved that it has all metal parts etc. and I mostly use it for the straight stitch. I know I need to get a new one and had never considered the Juki. Now I will! because it has the features I like and hadn’t seen in anything else! ! But, we are just getting a kid through college, I will have to wait, but I know where to go! Thanks again for the 12 Days, I have things in my cart and better get it complete before they are gone! Merry Christmas to your family! Merry Christmas to you, your family and all your staff!! Merry Christmas! I’ve heard a lot of good things about the Judi, I may have to try one soon. A Julie machine, what a dream. Come on and pick me Liisa Bongean.. If you would give me one instead of a loaner. So please pick me,and be a dear. Merry Christmas! Thanks for all the opportunities! 11 of your 12 things are also my needful things. This was the only one not on my list. Two years ago when I did buy a new machine it was one of the two I was going to get. I went with the Bernina only because I was replacing my Brother and needed other stitches other than just straight. 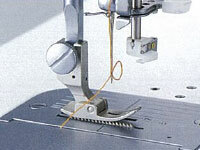 This would be a great machine to have, though since 99% of the time all I do is straight stitch. Thank you again. You are a blast! This machine sounds like a dream. I have been piecing quilts for others lately and fast would be a big help. Hope I win it as can’t really invest in another machine. My Viking is still dependable. Thanks for your posts. I forwarded them to my family! I love this machine! This is on my bucket list for this year ! Thank you, Lisa, for sharing your talents and generous heart. I love your beautiful creations and value your teaching advice and tips. I have been watching your needful list for 3 years now. Every year I say, “Next year, if it is on sale, I’m getting a Juki”……and then life and family happen. But that’s okay since there is nothing more precious than family and grateful for than life itself. Wishing you and your loved ones a Very Merry Christmas. Hope you do the sale again next year since there are probably many of us who will be watching for it again. Well, you convinced me. My husband just told me to buy it for my Christmas. What a great guy.! Merry Christmas Lisa and family! Thank you for the needful things…I did pick up a few…shhh don’t tell! The Juki looks amazing, I do own a few machines – but winning one would just put the icing on the cake or gingerbread cookie! Wishing you the very best for 2017, and keep on smilin’ cuz life is too short not to! I love all of your needful things and the fact that you only sell the things you use. If you like the Juki better than your Berninas then it must truly be an awesome machine. I remember when Handiquilter first started selling tabletop frames and a vendor at a quilt show used a Juki on her frame because it was fast and had the largest throat available at the time. I was intrigued at the time but my Bernina was not that old so even though I’ve looked at them online I’ve never pursued getting one. I don’t think the price of them have changed much since that time either which is also amazing. I’d love to win one…that would be amazing! Thanks for the chance and Merry Christmas! i was so excited to see that you were offering this machine again. I have wanted one for quite awhile I wrestled with buying myself such a treat but justified it by making the decision to pass one of my machines to my grandchildren to use,I have 5 granddaughters and 2 boys. This year I am at my daughters and my grandson said “Nana I love my quilt and I never go anywhere without taking it with me”. He is 8 years old and he is on his second quilt that he took everywhere. The first quilt is unrepairable but I am saving to make him something when he graduates from high school. My daughter said Mom we do not have blankets anymore only the quilts you have made. So I figure I had better get another machine so I can make more quilts. The are memories that my kiddos will have forever. I made your Christmas Strawberry Slush recipe yesterday and the grand kids loved it at dinner tonight! Thanks for sharing! I thoroughly enjoyed your needful things list. Some of the items I already have in my sewing room and others are new to me and have been added to my definitely should consider list. The ruler boxes are so charming and I wish I still needed a magnetic pin bowl because yours are much more stylish and prettier than what I have. Thank you so much for your Christmas Magic patterns and setting instructions. Waiting for each new pattern was like waiting for Santa to arrive. Have a wonderful holiday and a prosperous and happy New Year. I would love, love, love to own this machine! Have also loved all your favorite things that you’ve posted these past 12 days. Looking forward to seeing you next month. Thanks for the opportunity to win this machine. You make a good argument for purchasing a new machine. Thanks for all you do, you are an inspiration. Maybe if I had this machine I would be as productive as you :). I could see me juking on the Juki. Thanks for all of the info on this machine. I would love to own this machine. 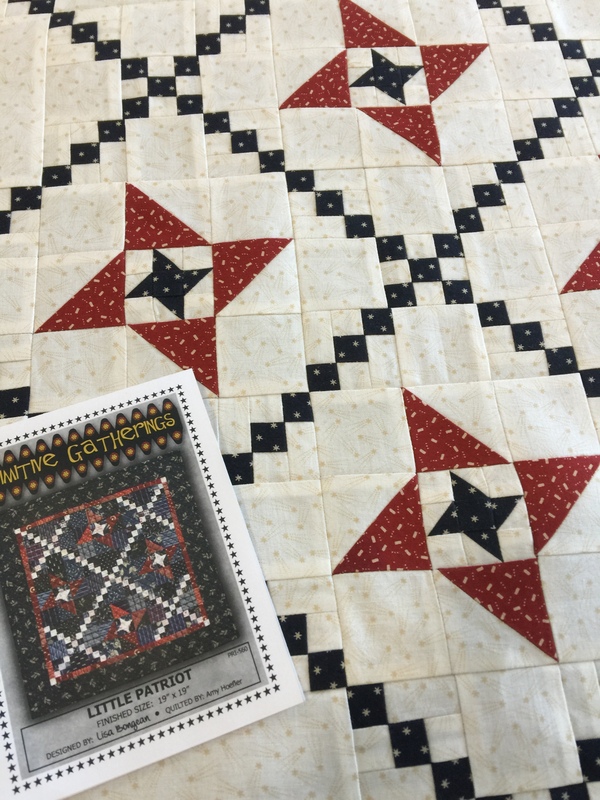 I have looked at them at the Paducah Quilt Show and have been very impressed. Thanks for offering one to us. This Juki sounds very sweet! It’s downright inspiring…..I’d love to win this beauty! Merry Christmas to you and yours. Enjoy the holiday especially with the little man. Would love the machine, really! Thank you for an oppportunity to win a Juki. I’ve never used a Juki but the more I learn about the machine the more intrigued I am. Merry Christmas and Happy New Year! WOW! I have been eyeing up the Juki for sometime. that price is wonderful. I may have to drive to Appleton and get one. Thank you so much for all the wonderful information you share with us. Merry Christmas everyone, Happy Birthday Jesus! Would love to try it! Merry Christmas to you and your family..
Merry Christmas Lisa and Nick. I just wanted to let you know that I purchased a JUKI TL2010Q from you last year and I LOVE it. It works wonderful and I don’t have the problems I had with my other machine. Thanks for offering it at such a great deal. I got it cheaper that if I had purchased here. Thanks again and I hope you have a very successful and healthy New Year. Love all your stuff. I would love a Judi! Especially if it can bring my skills a faction of the way closer to your Lisa! What an awesome machine! I bought a used TL98E and I love it so much. Just got a ruler foot for it and can’t wait to try out my QP rulers. Might need to try that new 1/4″ foot, too. Please keep offering these awesome machines in your 12 days, one of these years I’ll jump on your great deal! Thanks for all you & your crew do, Merry Christmas! 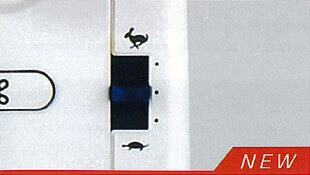 I had the chance to burn a Juki machine once but had never heard of them. By the time I researched and little it was sold. I look forward to your 12 Days of Christmas every year. Thank You! Merry Christmas! I meant to say buy a Juki not burn. The gifts are all opened. The grand dinner’s been eaten. The memories have been made. The family has returned home. Now I have time to do what I love best ! 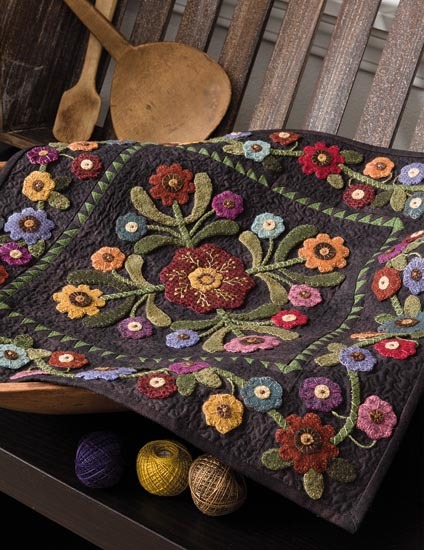 Work with wool and cotton making all sorts of quilts, mini’s and mats. And that Juki machine would make my passion even more rewarding. It looks amazing and sure would help get things done more accurately. Blessings on you and yours this holiday season, Lisa. Happy New Year! The Juki has been on my bucket list forever it seems! I am going to give it serious thought this year! Thank you for doing your Christmas blog every year! Hope to visit your booth at Paducah next spring! Wish you were in the bubble as we do not always make it to the downtown location! Merry Christmas to you! I’ve enjoyed reading all about your favorite things and have found quite a few things to add to my wish list. lol The Juki sounds like a great machine – I Love my little Singer Featherweight and that it only straight stitches, and this sound similar. Thanks for all the info! PS, I’ve received my pre-cuts order from you and LOVE all the fabrics and that you offered them as one of the 12 Day specials! I ordered this machine today! Can’t wait to try it! I am soooo tempted to get this machine but is it possible to try it first? Thank you for being so generous. Great example of true Christmas spirit. Blessings to you and your family. Happy New Year Lisa! Thanks for all the help you so freely give to all of us quilters. This Juki looks fantastic so I also told my lovely niece about it and we both ordered one. We are very excited to get it and we are going to share the prize if we win. Have a great 2017. When my Aunt called me about the Juki I checked it out and we both ordered one. I cannot wait until my Juki gets here. I have been sewing most of my life and never get enough of it. Besides quilts I also like to make costumes. This machine should also be fantastic for my thicker fabrics. Thank You and Many Blessings. Hi Lisa! I enjoy your 12 days of Christmas and the needful things. I enjoy reading all the blog and what you use and the tips that you share to us. I took a wool class from you in Michigan and enjoyed it and your knowledge. I also discovered that you are quite approachable and also a very warm and honest person. So with that being said, I will order the Juki and also hope that I could possibly win one. Happy New Year to you and yours. Many blessings to you in the year to come. Thank you for the Twelve Days of Christmas! With no local quilt shops, I look forward to seeing all the new tools that are available. I so enjoy working on wool projects and was lucky enough to take a class from you a year ago. My other obsession is little quilts and the review that you give of the Juki makes this machine sound like it would be perfect for the projects that I sew. 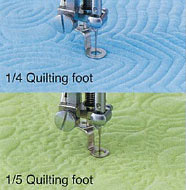 I’m also learning to free motion quilt and I see many nice reviews for FMQ with the Juki as well. I do have a birthday coming up soon in January…..very tempting! Thanks for sharing the items you use – it’s helpful to see what others think are needlful. Enjoy you blog very much. Would love to own a Juki!!! You make it sound so wonderful!!! Sounds like you can get so much more done on that machine. Maybe i could win one!!! Thanks so much for your input regarding this machine.